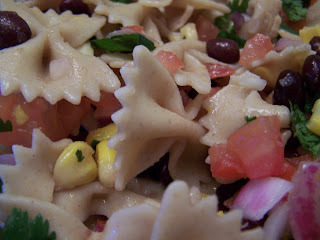 Combine whole-wheat bowtie pasta (cooked al dente) with Jane's Salsa (recipe below). Drizzle with olive oil when combining. Combine tomato, onion, cilantro, and garlic. Rince black beans and combine in pan with frozen corn. Cook over medium heat, sprinkling with garlic powder and red pepper flakes. Cool, and add to mixture. Drizzle with lime juice and spinkle with coarse salt. Allow flavours to combine fridge for at least 2 hours before serving, ideally overnight. This is not in fact Jane's spicy salad...this is whole wheat pasta combined with Lindsay's Fiesta Salad. F.Y.I. Chocolate and Vanilla Icecream topped with fudge. I don't lie. Heaven in a cup!! I made this recipe last night, except I forgot the garlic, it was good even without the garlic, but it needed something more, I'll put some garlic in the leftovers. Glad to see someone reads my blog -and tries my recipes! 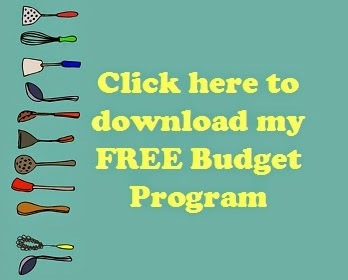 You have got to try the muffins I posted today. They are my current fave.